There are about nine species in this tropical family, of which three occur in southern African waters. Their diet consists mainly of squid and small fish. Fertilization is internal, and the females give birth to 15-35 live pups. The gestation period is less than a year, a relatively short pregnancy when compared with most cartilaginous fishes. 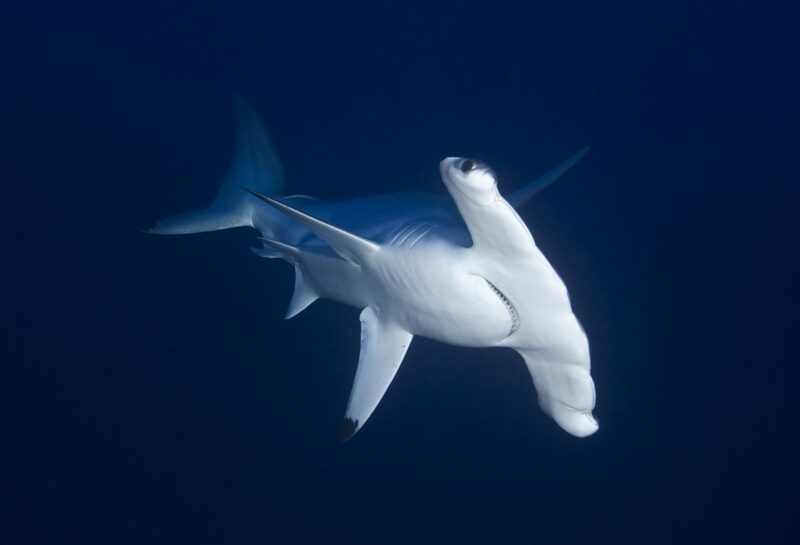 Scalloped Hammerheads are found in their hundreds, shoaling on Protea Banks during the months of September, October, November, and December. Please bear in mind that September and October are historically “windy” months off the coast of KwaZulu/Natal. 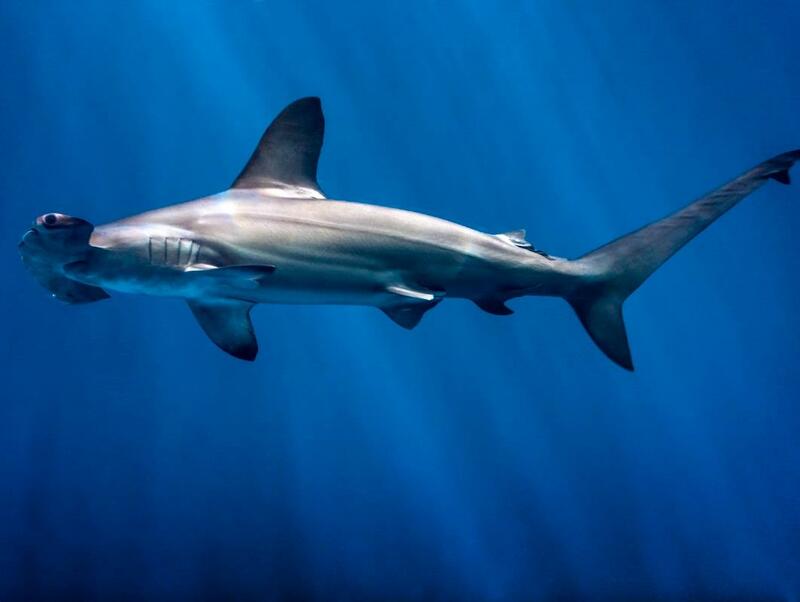 How do we dive with Scalloped Hammerheads? 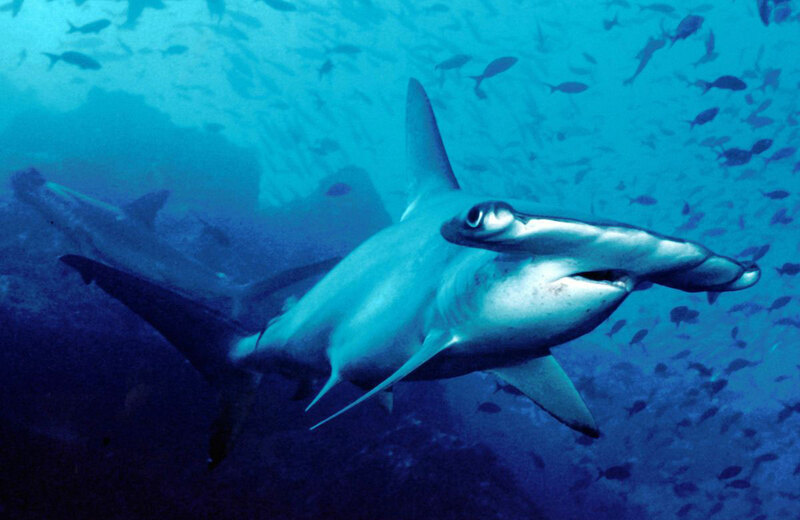 Please note that we do not use the “Baited Shark dive” method when diving Scalloped Hammerheads as a “target” species. 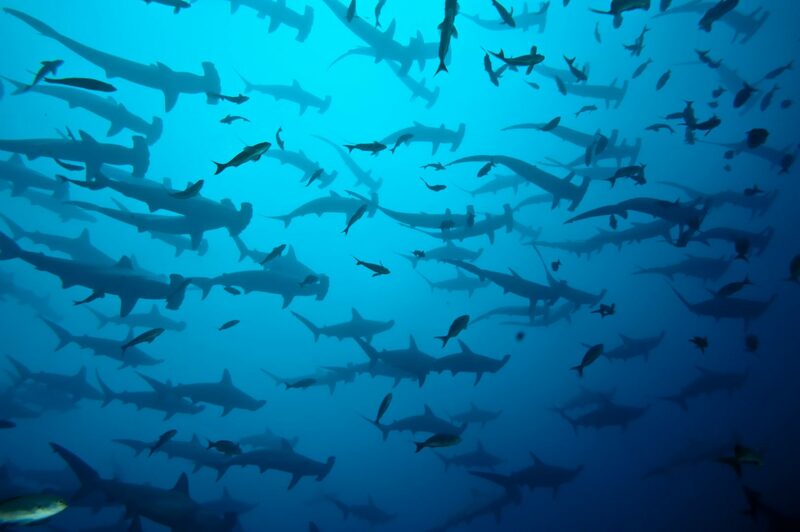 Scalloped Hammerheads are found in large numbers , hundreds, and even thousands, shoaling on Protea Banks during the months of September, October, November, and December. As stated above, please bear in mind that September and October are historically “windy” months off the coast of KwaZulu/Natal. Please note that all Protea deep reef dives are restricted to advanced open water qualified divers due to the depth of the dive, in excess of 30-meters, and the possibility of strong currents that are often encountered on Protea Reefs. After meeting the dive crew, at a time confirmed the previous day, in the parking lot in the Sony Evans small craft harbour, which is also the base for the local NSRI (National Sea Rescue Institute), you will kit-up and have the pre-dive briefing. Your dive gear will be stowed on-board the “Rubber Duck,” Zodiac or RIB, by the dive crew, and the 4x4 (bakkie) pick-up will reverse the dive-boat as close to the water as possible. Everyone then assist the Aqua Planet crew launch the dive boats, which are either a 7.5 meter “duck,” or a 8 meter “duck or RIB, or semi-inflatable, nose first, into the surf. On the skipper’s instruction, the ladies board first, after which the men clamber into the “Duck,” placing themselves opposite their gear, which was been stowed down the centre of the “Duck.” You then quickly put on your lifejackets, place your feet in the foot-straps, and off you go……… The launch itself is an exciting experience, and is likened to “white water rafting in a wetsuit”. After punching your way through the pounding surf, on reaching the calmer waters, the skipper pauses to see that all is ok, before you continue on to the dive site. Once over the dive site, the skipper cuts the motors and the divers, as well as the DM, kit up, on the boat. This is a fully guided reef dive with the DM leading the dive. Once every diver has kitted up the Skipper repositions the boat over the reef, and on the DM’s signal, all the divers do a backward roll, simultaneously, into the water. All our Dive Masters, who have dived Protea for years, have mastered the art of safe diving on Protea. The DM first descends to 5 meters and waits at 5 meters until all the divers on the boat get down to him/her. Once all the divers are at 5 meters, the group descends together, to the bottom, which is at about 30 meters. Those divers that are heavy breathers are buddie paired off, so that when they get low on air, they surface together as a pair. After the Protea Reef dive, you will return to the Sonny Evans Small-craft Harbour where the boat is winched out of the water. All your dive gear will be taken back to the dive shop to be washed down, rinsed, and dried for the following days diving. After the dive, you will transfer you back to your hotel / B&B and the rest of the afternoon / evening is free. 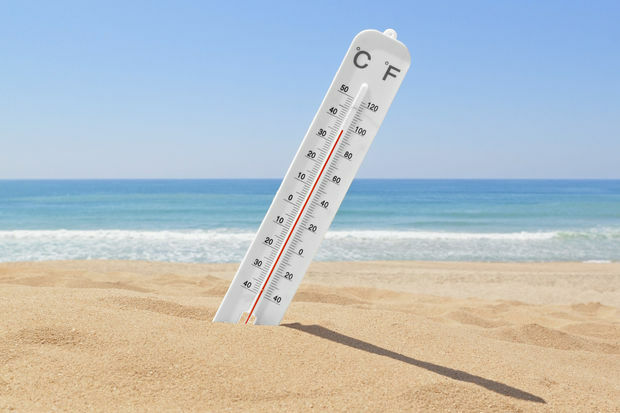 05h00 and 07h00 - you will be collected from the hotel / B&B, depending on the size of the group and the weather forecast. 05h15 and 07h15 - kit up in the dive centres designated area of the Sonny Evans Small craft Harbour. 05h45 and 07h45 - after pre-dive briefing, launch the Rubber Duck / Zodiac / RIB. If the group size on the dive boat is 6 or less, this Scalloped Hammerhead dive will be a 2-tank dive, with the surface interval time being spend at sea between the 1st and 2nd dive. If the group size is between 6 and 10, which is the maximum number of divers which can be accommodated on the dive boat, we return to shore for surface interval time. Equipment hire can either be full gear hire or tanks, weights or air. Nitrox is available at an extra charge. Don’t forget suntan lotion and a hat. Please note, the Sharks have not read this timetable and ave no idea where they are meant to be and when!